The Ceremony begins with the arrival of the Royal family, King Carl XVI Gustaf, Queen Silvia and Princess Lilian, and the Nobel Laureates and representatives of the Prize-Awarding Institutions. 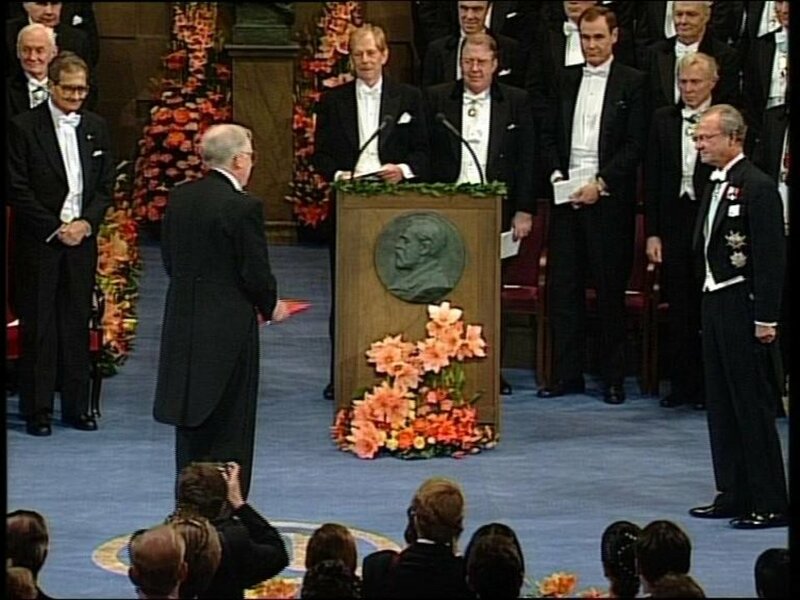 The Nobel Laureates receive their Nobel Prizes from the hands of His Majesty the King. Later, the Nobel Banquet starts with the arriving of the guests of honour. A performance is made by Katarina Dalayman, Swedish soprano.